At each of our four ADHC Centers, SteppingStone's caring and compassionate staff are led by our diverse and highly skilled team of Program Directors. In addition to overseeing program activities and supervising staff, Program Directors are instrumental in helping our interdisciplinary care team develop each participant's individualized care plan, and ensuring his or her success in our program. The Board of Directors of SteppingStone Adult Day Health is pleased to announce the appointment of Dan Gallagher as our new Executive Director effective November 19, 2018. Dan has had decades of experience providing service and support for several of the Bay Area's most disadvantaged and marginalized groups. A native of San Francisco, he spent twenty-five years with Catholic Charities, primarily helping troubled youth. His passionate advocacy of the most vulnerable will certainly expand to SteppingStone's frail elderly and disabled adults. John Tinloy, who served as Interim Executive Director, will support Dan during the transition as he gets familiar with SteppingStone. John Tinloy became SteppingStone's Director of Services & Outreach in November of 2018. Previously he was Interim Executive Director. John began his social work career in 1979 as a Psychiatric Social Worker at Stockton State Hospital. He became a Licensed Clinical Social Worker in 1982 and continued as a Counselor at Golden Gate Regional Center in San Francisco. In 1987, John joined SteppingStone (formerly North & South of Market ADHC), at 653 Geary, as the Social Worker and soon stepped into the Program Director role. He worked with founding Executive Director, Marilyn Beffort, and alongside her successor, Elizabeth Boardman, who developed the four centers we have today. John served as the first Program Director at Mabini, Presentation and Mission Creek Centers. In 2007, John accepted the Medical Social Work Supervisor position at San Francisco General Hospital gaining invaluable experience in acute health care including emergency department services. In 2012, John returned to SteppingStone, to resume his passion for adult day health care, as a Social Worker. In 2016, he resumed the Program Directorship at Mabini Center. 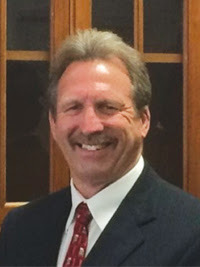 In September of 2018 he became SteppingStone's Interim Executive Director. At each of our four ADHC Centers, SteppingStone's caring and compassionate staff are led by our diverse and highly skilled team of Program Directors. In addition to overseeing program activities and supervising staff, Program Directors are instrumental in helping our interdisciplinary care team develop each participant's individualized care plan and ensuring his or her success in our program. Melissa started at Mabini in April 2016 as an Occupational Therapist and transitioned to Program Director in September 2018. Melissa specializes in geriatrics and is passionate about supporting older adults to age in place. In addition to her work as an Occupational Therapist, she has been the Vocational Coordinator for the Independent Living Skills Program, Program Assistant for City College's Job Matching Program, and Contract Bookkeeper for several Bay Area non-profits. Melissa received her Master of Science in Occupational Therapy from San Jose State University in 2015. Diana Almanza has over 30 years of experience in the field of human services as a manager. She has implemented and supervised programs for victims of domestic violence, sexual assault, and homeless. She was a recognized expert in the field of domestic violence and was appointed to serve on several different committees for Office of Emergency Services. She was also recognized by members of the California Senate and Assembly for her leadership and service to victims of domestic violence. Nicole Clause joined the staff of NSM-ADH in 2001 as the Activity Coordinator at Presentation Day Health. Her hard work and commitment earned her a promotion to Program Director in 2005. Nicole has dedicated her professional career to serving seniors, the homeless, and other disenfranchised populations. Prior to joining the staff of NSM-ADH, Nicole coordinated The Living Room Drop-in Center at St. Anthony's, managed The Friendship Center at Services for Seniors, and served as the Program Manager at Crestwood Manor, a geriatric psychiatry facility in Stockton, CA. After more than 17 years of experience in the field of intellectual and developmental disability in both private service and the non-profit sector, Martina joined SteppingStone in October 2018 as the program director for the Golden Gate Center. Martina has a range of experience working with both adults and pediatrics with complex medical needs, dual diagnosis , palliative care , crisis stabilization and behavioral management. Before joining the SteppingStone, Martina was a Program Director in California Mentor overseeing two Family Home Agencies. Paul Boneberg, is a longtime nonprofit professional and community activist. For twenty-five years he was involved in the fighting the HIV/AIDS pandemic. He served as Executive Director of Mobilization Against AIDS from 1984-1993, one of first AIDS activist organizations in the nation. From 1993 thru 2006 he was the Executive Director of the Global AIDS Action Network (GAAN). His work on HIV/AIDS is discussed in the film “We Were Here” and the books “Victory Deferred” and “The Invisible People”. From 2007 through 2015 he served as Executive Director of the GLBT Historical Society, during which time the organization opened the first LGBTQ history museum in the nation. He currently serves as a member of the Vallejo Commission on Culture and the Arts. Charles Barragan, SPHR, SHRM – SCP- joined SteppingStone in July 2017 as the Director of Human Resources. Charles is a Human Resources professional with extensive experience as a strategic member of HR leadership teams and strong business acumen developed through 30 years of progressive growth in diverse workplace settings. Prior to joining SteppingStone, Charles served in a number of HR roles including HR Manager for Edgewood Center for Children and Families, Director of Human Resources for Toolworks, Inc., and as a HR Consultant for the University of California Office of the President (UCOP). Charles obtained a Bachelor of Arts in Government from the University of San Francisco, earned HRCI SPHR and SHRM-SCP HR certification, and obtained extensive training and certification in leadership competency and talent development from NISH Academy and UCOP.